The coming of the most anticipated movie of the year is fast-approaching and SM Cinema is also gearing up for the massive battle to come. Finally, the end game is almost here and everyone is anxious to find out what happens to the Avengers after Thanos' victory in the previous movie. But you know what's more worrying is not having tickets to watch the epic finale. 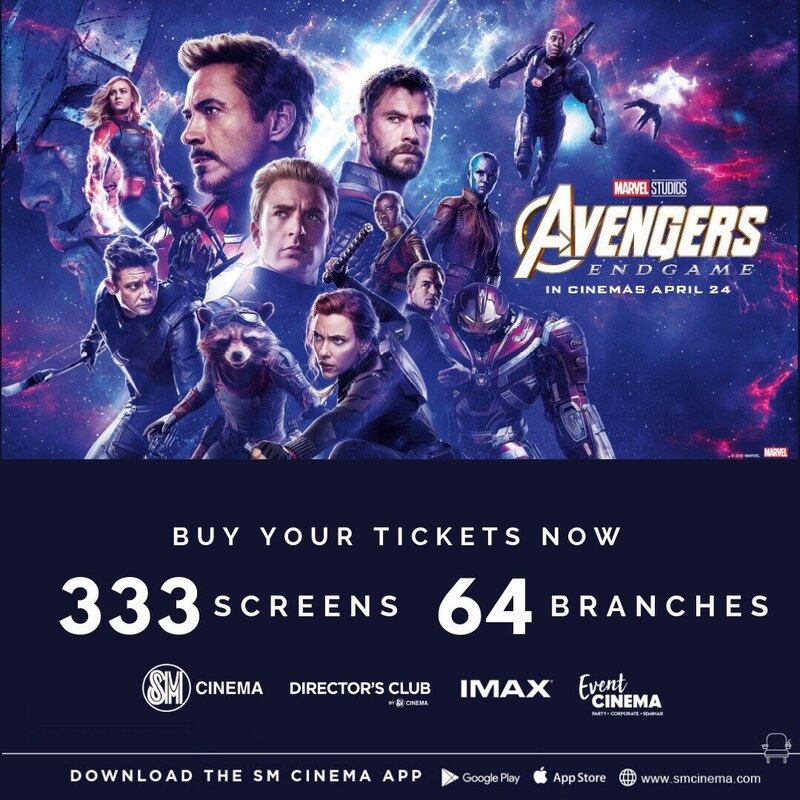 This is why from April 24 to 28, SM Cinema will be showing "Avengers: Endgame" in all SM Cinema branches – that's all schedules for the 333 screens SM Cinema has across the country. Even better, SM Aura Premier and SM Mall of Asia will host 24 hour, non-stop screenings of "Avengers: Endgame". To be even sure, ticket pre-selling has already started so you can book your tickets now and be among the first in the world to see the movie. Skip the lines, get the best seats in the house, and save as much as P20 by getting your tickets via www.smcinema.com or the SM Cinema App.